The turnout assumptions of pollsters are increasingly under scrutiny, with the polls often showing Democrats with a persistent advantage in party-ID. Many hold that the polls assume an unrealistically high Democratic turnout, mainly based on the assumption that Democratic, young, and minority turnout was anomalously high in 2008 and can’t be repeated, while Republicans who stayed home are destined to rise from their couches. From a certain perspective, this explanation is appealing. 2012 feels nothing like 2008. Obama's crowds are smaller, the GOP’s enthusiasm is palpable, and Obama is extremely or even unprecedentedly dependent on support from low turnout demographics, while Romney excels among many of the most reliable voting groups. While the polls are generally accurate, it’s hard not to have at least a few questions about likely voter screens, which strike me as somewhere between guessing and voodoo. With that in mind, the possibility that the polls are misjudging turnout is probably the most convincing reason why the polls could be overstating the president’s advantage. Nonetheless, it's important to remember that likely voter models work well. Perhaps even surprisingly well. After all, the same method managed to predict Bush’s victory, Obama’s win four years later, a Democratic rout in 06, and a GOP landslide in 2010. Even in tough situations where turnout is critical, like the Iowa Caucuses or the Wisconsin recall, the polls still do pretty well. And this history raises a real question for those who don’t just acknowledge that the polls could be wrong, but assume that the polls are wrong: why would the polls get the Wisconsin recall right, but not the Wisconsin general election? Some argue that it is just obvious or common sensical that ’08 was special and never to be repeated, at least in anything other than perfect conditions. The problem with this argument is that ’08 turnout just wasn’t as special as Obama’s historic candidacy or the state of the economy might suggest. Turnout wasn’t much higher in 2008 than 2004, with the only truly “special” increase coming from African American voters. By most accounts, including Republican accounts, African American turnout will remain at historic levels, perhaps especially in the battleground states. The early vote tallies in North Carolina suggest as much. How much room is there for turnout to decline among Hispanics? Not much. 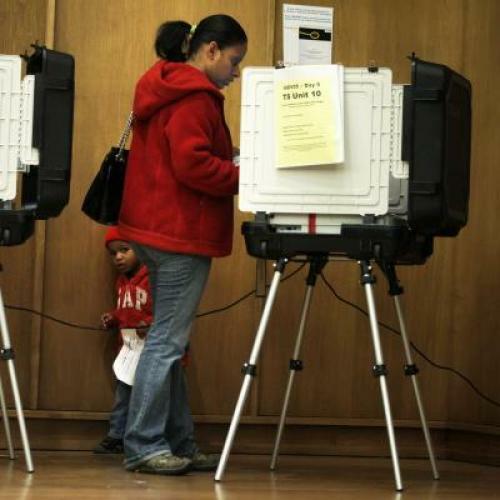 According to the Current Population Study, Hispanic turnout rates increased by a modest 5.7 percent in 2008. While that might seem significant, erasing those gains would have reduced the Hispanic share of the electorate by less than one half of one percentage point and Obama’s margin among Hispanics would have declined from about 4.1 to 3.9 million. 200,000 votes nationally might matter in an extraordinarily close election, but it’s not the difference between Obama’s modest advantage and a dead heat. White turnout declined by a modest amount in 2008, but this was mainly felt in the white South, and especially in the areas with a tradition of offering meaningful support to Democratic candidates. Other than the increase in black turnout in 2008, the white share of the electorate has principally declined as a result of demographic changes, not dramatic increases in minority turnout rates. With a new wave of young and diverse 18 year olds reaching voting age every year, the white share of eligible voters is steadily declining and voter registration numbers indicate that these changes have continued since 2008. Relatively few states offer registration data by race, but the white share of registered voters has declined by about 2 points in each of Florida, Georgia, and North Carolina over the last four years. The main issue that might prevent the Obama campaign from realizing further increases in the non-white share of the electorate, in my judgment, is young voters. Much of the increasing non-white share of the eligible population is driven by the addition of a new cohort of diverse 18-22 year old voters. These voters might not be as enthusiastic as their older friends were four years ago, which would prevent Obama from increasing the non-white share of the electorate at a pace equal to the change in the voting eligible population. Nonetheless, even a weak turnout among these voters is probably enough to compensate for declines in turnout rates among older voters, even if it can’t drive the white share of the electorate much further down from 2008. But what about Republican turnout? Couldn’t it be the case that Republicans sat out 2008 and are now poised to return in 2012? The problem is that there isn’t very much evidence of a big decline in Republican turnout in 2008. The GOP base is considerably more engaged than it was four years ago, but the same demographic that make Democrats susceptible to low turnout partially immunize the GOP from deflated enthusiasm. According to the exit poll, 46 percent of voters in 2008 supported Bush in 2004. That would equal 60 million Bush voters, compared to 62 million who actually voted for him in 2004. McCain himself carried 59 million voters in historically poor economic and political conditions, so it’s not like there’s a demonstrable pool of latent Republican-leaners likely to jump back into the electorate. There are a few places where one can see evidence of a decline in GOP turnout between '04 and '08, but only at the margins and not as much in the battlegrounds. Two exceptions might be North Carolina and Virginia, where Bush didn't fully mobilize the GOP coalition and McCain probably didn't, either. The argument for a big pool of latent Republican voters largely rests on a false reading of party-ID. Specifically, the argument suggests that many Republicans stayed home since Republicans were 37 percent of the electorate in 2004 and just 31 percent in 2008. But at risk of sounding like a broken record, party-ID is an attitude, not an unshakable characteristic. 2008 was not a time when many voters would feel inclined to consider themselves Republicans, and many ‘04 Republicans might have characterized themselves as independents in 2008. The best evidence suggest that these former Republicans continue to identify as independents, explaining the Democratic advantage in party-ID, as well as Romney’s lead among independent voters. According to Pew Research, the number of self-identified Republicans declined steadily between 2004 and 2008, and it just hasn't hasn’t recovered. Today, many of these voters consider themselves independent, but will specify that they lean Republican when asked in a survey. When the turnout question is framed as whether Democrats can repeat the enthusiasm of '08, it becomes easy to start doubting the polls. But the issue isn't whether Democratic turnout falls from an anomalous high in '08 back to earthly levels; rather, it's whether turnout falls beneath '04 and '08 levels. If African American turnout remains high and other non-white voters turnout at '04 levels, the electorate is going to be about as diverse as it was four years ago and perhaps more so. The better question is whether '04 and '08 turnout represent the norm for a tight American presidential election during an era of intense partisanship, or whether Democratic turnout in '04 and '08 were exceptions when anger with the Bush administration combined to produce historic turnout that can't be repeated when incumbency collides with disappointment. If '04 and '08 are the exception, then plenty of Democratic-leaning independents might stay home and Romney will profit. If not, the electorate might just be too diverse for Romney to overcome.